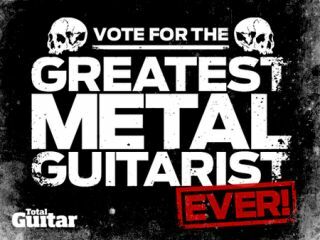 We've recently had some contact from Children Of Bodom fans concerned that their votes had not been counted in our greatest metal guitarist poll. Total Guitar and MusicRadar would like to reassure all voters that this is not the case. The poll is receiving an extraordinary number of votes, a large amount of which are from Alexi Laiho fans, and for some reason this has affected the front-end results display on the MusicRadar homepage. The votes have been cast, counted and kept safe and will still be revealed in mid-March during the relaunch of Total Guitar magazine. However, the results displayed on the homepage are currently not reflective of the votes cast. The MusicRadar team are currently working on fixing the poll display, but it's likely that they won't be able to fix it properly until the poll has closed on Monday (21 February). Apologies from the Total Guitar and MusicRadar teams for any confusion caused. In the meantime, we'd like to once again reassure you that votes ARE being counted and that the poll still has another six days to go, so please carry on voting.